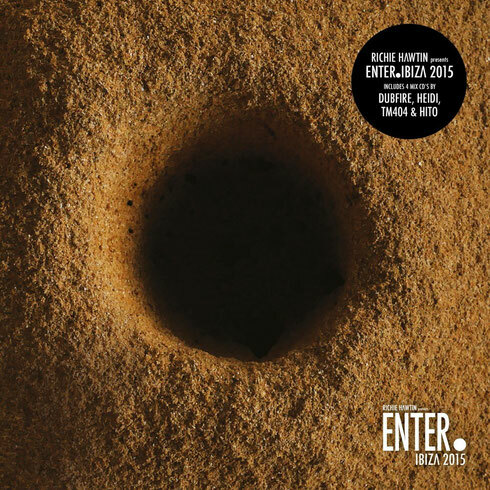 Richie Hawtin’s highly conceptualised ENTER. returned to Space Ibiza for a fourth season this year. Recognised for bringing together Hawtin’s passion for futuristic music, technological advancements and Japanese Sake, every single aspect of the event is planned and executed. The same could be said for ‘ENTER.IBIZA 2015’, a new special-edition four disc collection of music that aims to take listeners on a journey through the unique musical atmosphere encountered in each room at ENTER. from the beginning to the end of the night. Starting at ENTER.Sake, the Japanese-inspired room that opens the night every week, where resident and cult favourite Hito (from Tokyo) subtly builds momentum. House sounds proliferate on CD2 as Heidi takes control of ENTER.Terrace, ahead of her set there this summer (10 September). Here, she mixes up classic cuts old and new, reaching for Detroit sounds from Daniel Bell, German electronica from Roman Flügel and rugged rhythms from Radio Slave, amongst others. Sounds from the techno vanguard get mixed up by regular guest Dubfire on ENTER.Main. Finally, new resident TM404 rounds out the experience with ENTER.Mind. The compilation is released on Minus today and will be available digitally on Beatport. ENTER. takes place every Thursday from 2 July -17 September 2015 at Space Ibiza.